Join us on July 4 to celebrate America’s Birthday! 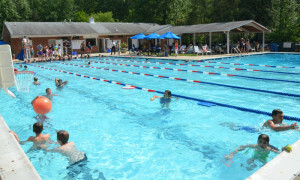 The pool will open at 11 am, then from 1:30–4 pm, we’ll have fun and games and music from Unique Dreams. There will be prizes for the winners and free dessert for everyone in the audience. Bring a picnic lunch and grab a good seat! 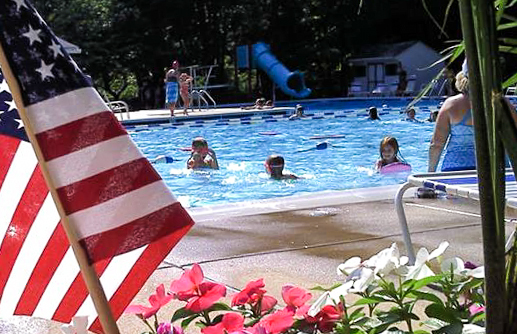 The pool will close at 7pm on July 4 so that staff members can enjoy the holiday with their families. Due to unusually large attendance expected on July 4, we are unfortunately unable to accommodate guests that day. On July 7 at 7 pm members age 21 and over are invited to the club’s annual “Top Chef”-style potluck party. Entry fee: one dish of your choice, but be creative. The most delicious, innovative menu item will walk away with a prize. (Social Committee will supply wine, beer, cheese and other light snacks.) All members 21 and over are invited. Please RSVP through SignUp Genius.